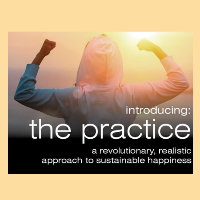 Join the FUSE members for a Lunch and Learn at Cambria Suites as Annie Clark introduces "The Practice" a revolutionary, realistic approach to sustainable happiness. This Lunch & Learn will help you communicate authentically and easily so you can share your truth, set boundaries, and support yourself and others. You’ll get what you want, say what you need and be who you really are, so you can manage your emotions moment-to-moment and let others manage theirs. This class will provide you with transformative communication tools you can use to dissolve relationship stress—no more worrying about what you’re going to say, how to say it, or what people will think—so you can find true liberation!